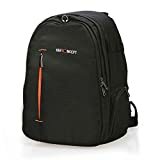 Travel Backpack – 10 Internal reinforced removable dividers,adopt 32cm telephoto lenses, offers multiple storage options for carrying Canon/ Nikon/ Sony/ Pentax/ Fujifilm/ Panasonic/ Leica SLR DSLR cameras, lenses, tripod, flashes, 10-14″ tablet laptops any other camera accessories. This entry was posted in Discount Photography and tagged 1000D, Backpack, Camera, Canon, Concept, Cover, DSLR, Laptops, Large46.5X30X22cm, Multifunctional, Nikon, Rain, Rucksack, Shockproof, Sony, Tablets, Tripod, Waterproof, Women by Ball Photo. Bookmark the permalink.